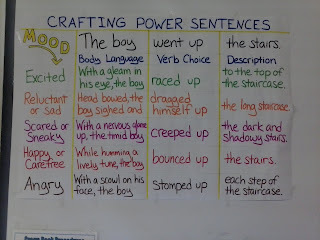 Thanks again to Pinterest, I found a fantastic anchor chart for our personal narratives on crafting "power sentences." 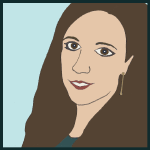 We all want our students to learn how to write with "emotion," but a lot of times they're at a loss: how do you do that? They recognize good writing, but they just don't have the vocabulary to liven up their writing. Enter the 3 step "Power Sentence" formula! 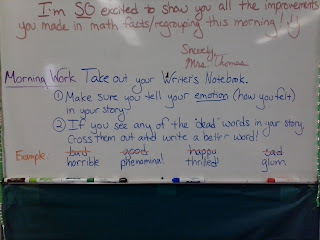 To get the kids into the mindset that our stories should have a mood, before I even led them in topic selection (which has become easier for me thanks to Lucy Calkins) I asked them to write down moods that they wish they could create in their stories. "Do you wish you could write a scary story? A depressing story? A funny story?" Fourth graders are JUST starting to think about how they want others to see them, so this question speaks to their SOUL. Once topics are identified, stories are orally shared, and a first draft is made (and the kids think they're done, but as teachers we've only STARTED) that's when I rolled out this poster. And just I did on the Author's Viewpoint (for My Brother Martin) I decided how exactly to roll out the poster. 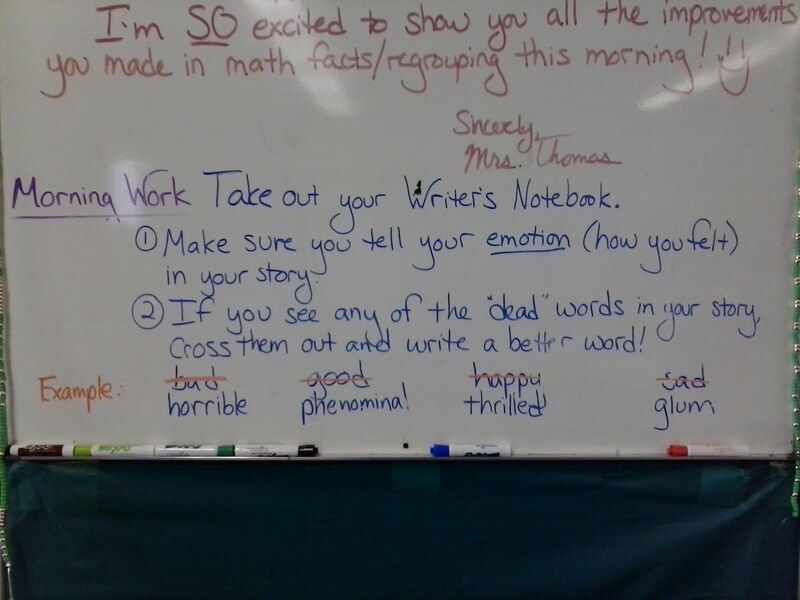 I changed my mind at the last minute, deciding to save the "mood" for the end, so that the kids would keep guessing what the writer was going for. I started with the "description" side, talked a bit about adjectives, and wrote down their guesses (spending more time on the obvious "the dark and shadowy stairs" than on "the stairs.") Then I challenged them to go to their desk and add ONE describing word to their story. They had 2 minutes, then had to come back to the rug. It was good frenzied fun for a class that has very little writing stamina at this stage. 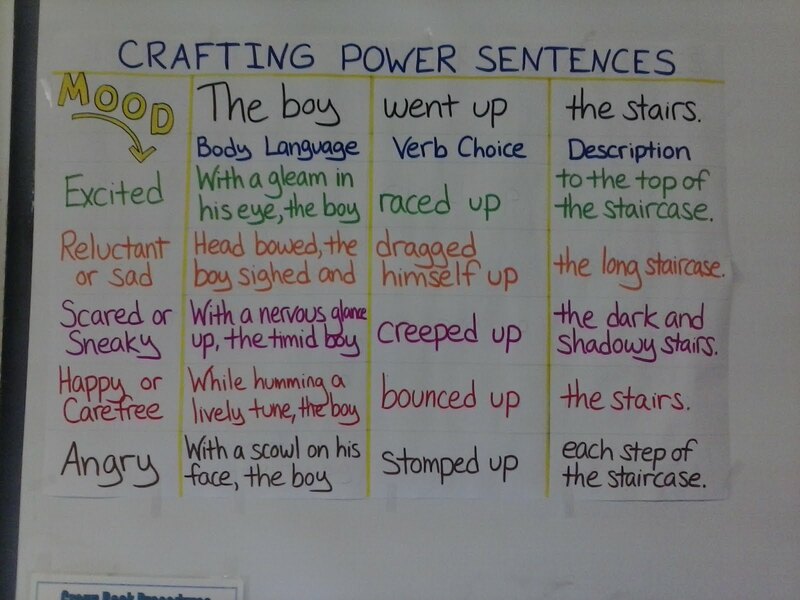 I really feel like this anchor chart helped every student, regardless of first language or reticent, to add some emotive words to their stories. 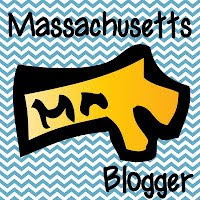 Next step for Writer's Workshop will be a whole lesson about body language! After that, we'll need more "dead words" lessons, especially for "went." Luckily I've got another Pinterest find already to help me out. I can't wait!